Reader Question - Why Are My Prints Dark? TDS member Jason writes: "Over the last year, as I began looking at my photographs with a more critical eye, I realized that my prints were always noticeably darker than what I was seeing on my computer screen -– specifically, I was losing a lot of shadow detail in the prints." "Shadow details that were easily visible on my screen disappeared into black on my prints. At the time, I was doing my editing using iPhoto and Photoshop Elements on a 20 inch iMac G5 running Panther. I didn't have my own photo printer, but I tried several different print services (Apple's, Snapfish, Shutterfly, Ritz), and always got similar results. Not only did I notice the problem with my prints, but I also noticed it when I viewed my pictures on PCs." "I began to research the issue, and the first thing I came across was the difference between monitor gamma settings on Macs and PCs. So I ran a monitor calibration on my iMac for the first time and changed the gamma from 1.8 to 2.2. That helped, but it wasn't enough. I then lowered the brightness on my display, which got me closer, but still not perfect. What I got in the habit of doing was using Elements to boost the shadow detail of my images by a few percent (since I couldn't do that with iPhoto 6), knowing that I would lose a bit of it when it was printed. This worked okay, but it's a hassle, and it seems like it shouldn't be this way." "I thought I'd write you to see if you had any thoughts or recommendations. Have you encountered anything like this? Am I the only one?" Derrick responds: You are not the only one, Jason, who has run headfirst into this problem. 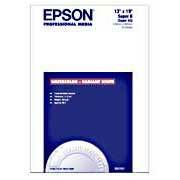 The first issue is the inherent difference between glowing, backlit computer monitors and reflective sheets of printing paper. They are two different animals, and you will never get an exact match. So your expectation should be to get a good print, not an exact match to what you see on the monitor. That being said, you can take steps to get the best results possible out of your printer. First, start with one of your best images. Sharp, well-exposed pictures print better that lesser shots. Then, make sure your monitor is calibrated. I've written about the ColorMunki, the Spyder3Elite, and the hueyPRO. You should be using a tool like one of these. They not only set the color, they calibrate the tones. If I'm using a very bright monitor, such as my 23" Apple Cinema Display, I usually reduce its brightness about 3 notches. This helps bring it in line with the reflective surfaces that come out of the printer. I then make sure that I'm using the proper ICC profile for the paper I'm printing on. You can usually download profiles from the paper manufacturer's site. They ensure that your computer and printer are talking the same language during the print job. Finally, experiment with different paper stocks. If you're using only glossy, for example, it is more contrasty than say a nice matt paper. Paper choice is a huge variable in printing. If you do these things, and take notes along the way, you'll soon develop a printing formula that results in consistent, attractive output. I've dedicated a chapter to printing in The Digital Photography Companion. Best of luck to you Jason! The #1 factor for me has been display calibration. I have an Apple 30" Cinema display and use the supplied ICC profile for it, and my printing results are so close to what's on my screen that I've rambled on about it at length to friends and family (which I'm sure they were thrilled about). I run the display at full brightness, and I use a local lab that produces excellent prints at reasonable prices... the missing link for me was the calibrated display. My results have been so good that I haven't bothered with an actual display calibrator, but it seems pretty clear that having the right ICC profile for your display is key, whether you use a supplied profile or calibrate it yourself. Yes, screen calibration is so important. Whether you create your own profile (via a colorimeter) or have a good one already available, you're ahead of the game. Everything else is easier after that.